One of the least understood divisions in the Department of Insurance is the Bureau of Captive and Financial Insurance Products. Let me see if I can explain exactly what captive insurance companies do and why they are so important to Delaware’s economic vitality. Captive insurance companies are owned by the entities they insure and are generally formed by businesses who wish to better manage the cost and administration of their insurance coverage. A captive insurer, like any other corporation, may have legal residence (or “domicile”) in any state and many captives choose Delaware because of our favorable laws and business climate. Additionally, the great majority of revenues generated from this program comes from out of state companies who are domiciled in Delaware. Those companies domiciled in Delaware pay the state both registration fees and taxes on the premiums they collect. Last year, for example, the Department of Insurance’s captive operations generated several million dollars that went into the General Fund for the State of Delaware. When I started serving as Insurance Commissioner in 2009, Delaware already had laws that allowed for the formation of captives, but I created a separate captive bureau and made a conscious effort to attract captive insurance companies to our state. At that time, Delaware had licensed 38 captive insurance companies. Presently, we have over 1,000 active captive insurance companies. Captive insurance is a mid- 20th century product, but here in Delaware its roots were established long ago. Delaware permitted the formation of holding companies that allowed larger companies to set up subsidiaries in Delaware. Using these Delaware-based companies, businesses could hold certain assets, thus gaining the benefits of Delaware’s tax laws and Delaware’s internationally recognized business court, the Court of Chancery. The captive insurance program worked like a holding company. However, the benefits shift from tax incentives to insurance incentives. Delaware has long been known as the favored state of incorporation for U.S. businesses. Delaware offers many benefits to traditional businesses. Over a million business entities are incorporated here, including 65% of the Fortune 500. These benefits extend to captive entities as well, creating the ideal domicile for captive business. Delaware is the third largest captive domicile in the United States and the fifth largest in the world. Delaware captives can be organized in a variety of legal forms: as limited liability companies, partnerships, limited partnerships or statutory trusts. Our highly respected Court of Chancery enhances our reputation as a stable and predictable place for captives to do business. 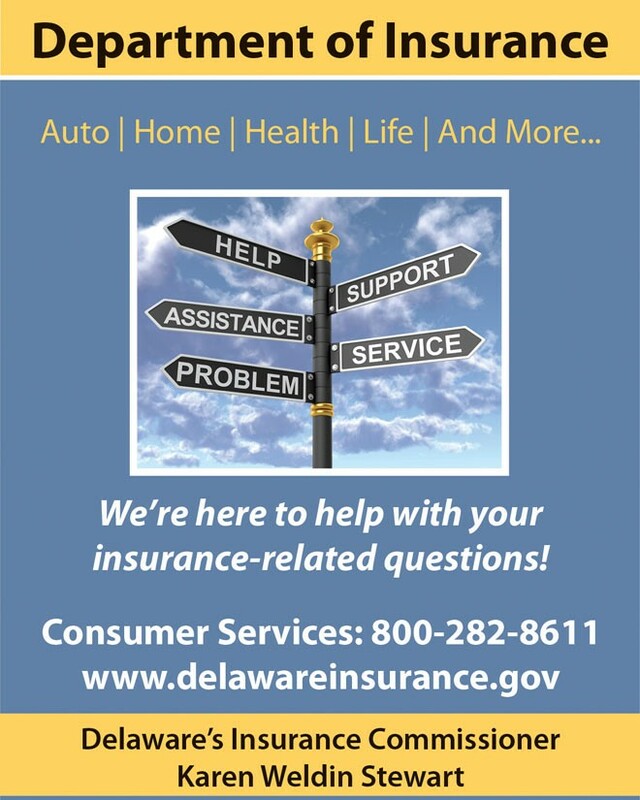 One of Delaware’s local captive insurance companies is the Delaware Surety Insurance Company in Dover. Delaware Surety was licensed in 2009 to reinsure surety bond business. A surety bond is a promise by a surety or guarantor to pay one party a certain amount if a second party fails to meet some obligation, such as fulfilling the terms of a contract. The surety bond protects the first party against losses resulting from the second party’s failure to meet the obligation. As I noted earlier Delaware licensed its 1,000th captive insurance company in 2015. That company, AWI, Inc., was formed to insure the risks of its parent company, American Water, a publicly traded company headquartered in New Jersey. American Water provides water and wastewater services to an estimated 15 million customers in over 40 states and Canada. The Captive Bureau’s efforts have also been noted by its peers. In 2013 we were recognized as the top captive domicile in the country by Captive Review magazine, who also regularly cites Captive Bureau Director Steve Kinion as one of the most influential figures in the world of captive insurance. And I was recently named to Captive Review’s first “Enterprise Risk Captive Pioneers” list, which recognized 20 of the “key influencers” in the United States’ smaller captive industry. So I hope that I’ve helped you understand what captive insurance is, and how it contributes to Delaware’s financial well-being. If you wish to know more about our Captive Bureau, or about any other services we provide, do not hesitate to contact the Department of Insurance at 302-674-7300. Insurance Commissioner Karen Weldin Stewart has been leading the Delaware Department of Insurance since she first took office in 2009. The department’s mission is: “Protecting Delawareans through regulation and education while providing oversight of the insurance industry to best serve the public.” The department is composed of several divisions that provide services to the public, including: a Consumer Services and Investigations Division and a Fraud Prevention Bureau. Within the Consumer Services Division there are two programs that provide additional services: the Delaware Medicare Assistance Bureau (DMAB), which provides Medicare counseling to Medicare recipients at no-cost; and the Workplace Safety Program, which helps businesses reduce workers compensation premiums by up to 19% annually if the workplace meets certain safety qualifications. Contact us today at 1-302-674-7300 if you need help with an insurance-related issue.